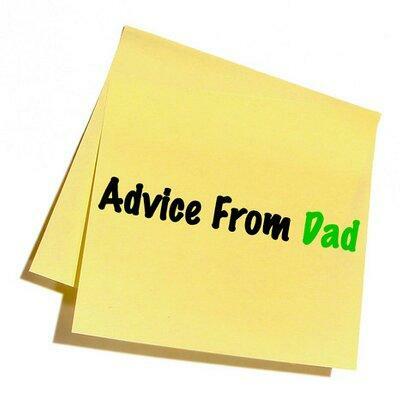 Dad's Advice — Peace of Mind Financial Planning Inc. Many of us are a product of our upbringing. Even as a financial planner, some of the best common sense financial ideas I ever received were from my parents. My dad had some life experiences that impacted how he approached things and the way he lived demonstrated many ideas through example. Here are a few of my favorite gems of my dad’s wisdom. Choices – I grew up in a small town and there wasn’t really anything that I wanted that my parents wouldn’t have been able to afford. But periodically when I asked for something, dad would tell me I couldn’t have it. When I asked why, he’d say it was because we can’t have everything we want. These experiences taught me that sometimes I don’t get everything I want, but I can still be happy and have a good life. This may not seem like a huge financial insight, but people who don’t understand this often have a sense of entitlement. They also sometimes end up with too much in credit cards, houses they can’t afford, and trips that are great, but not affordable. Record keeping – Dad never had a computer. He kept wonderful records that anyone could figure out. The family tax preparer told me once that dad took in his tax information every year in a shoe box, but it was organized in the box. Some of his records were typed, but many were written by hand. Several years after he retired he showed my mom how he kept the records and she started sharing some of the record keeping. So a good system of organization doesn’t have to be fancy, it just has to be organized and logical. And anyone who needs to know the system needs to have access to it. Discretion – Dad often told me not to discuss our finances with people outside our family. He wasn’t talking about professionals. He was always completely candid with his financial advisors. When you talk to people about your money that don’t need to know your financial situation, it can sound like bragging or whining – depending on your situation. Also there can be unintended consequences. You may not be sure, going forward, if those people like you for your money or like you for you. Charity – Dad gave generously and privately to the causes that supported his values. He didn’t assume others would step up. He walked the talk with his actions and his money. Life Happens – Dad’s family lost their farm in the depression, they then moved to where they could get work. He’d work a couple of hours before going to high school each day. His hard work resulted in a successful business, early retirement, and financial support for his widow – my mom. Don’t feel entitled or downtrodden when circumstances turn against you. Hard work and humility will make up for a lot of bad situations.